Het project Mutual Art Inspiration vanuit Terra Art Projects. 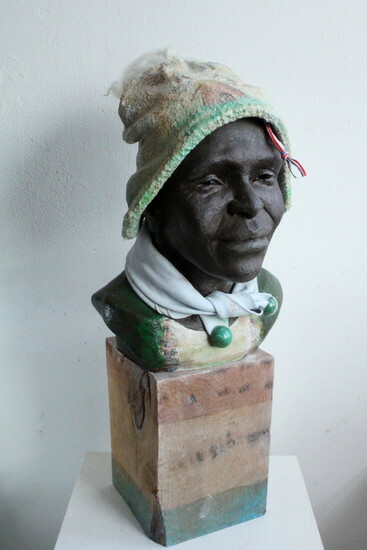 Commentaar van Ejoh (Nigeriaanse kunstenaar) Lilian your sculptures look alive. The one titled MEMORIES means YAADEIN. When I leave your country, my head will be full of memories (YAADEIN) and this I so much look forward to. And you know wat, this figure somehow looks like me! !